Can You supply any missing names please? BACK ROW: 1 dk, 2 Anne Player, 3 Linda Bond, 4 Lynne Johnson, 5 dk, 6 dk, 7 dk, 8 Marie Miller, 9 Sharon Roan , 10 Jennifer Reynolds , 11 Heather Bednalll. 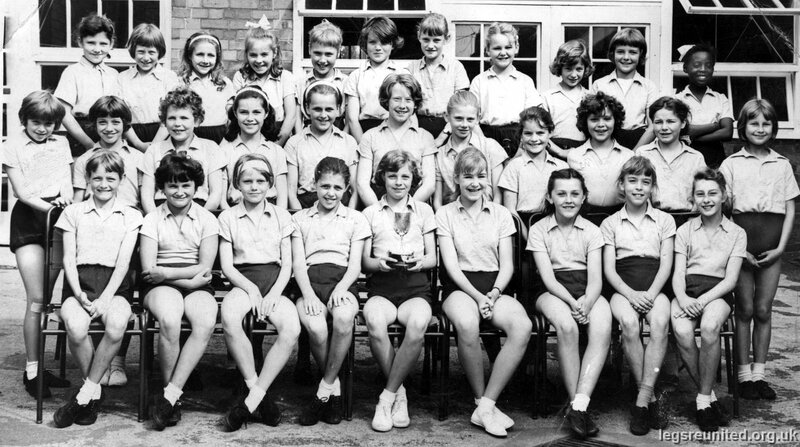 FRONT ROW: 1 Eileen Bull, 2 dk, 3 Margaret Avery, 4 dk, 5 Alison Dilkes, 6 Jane Ross, 7 Joy Townsend, 8 Alison Bryce, 9 Margaret Davis.